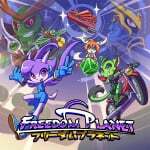 If you love games similar but slightly different to the Sonic the Hedgehog series, the 2D platform title Freedom Planet is well worth your time. The GalaxyTrail game started out as a Sonic fan made project and was eventually released on PC in 2014. It has since been ported across to multiple platforms including the Switch eShop. 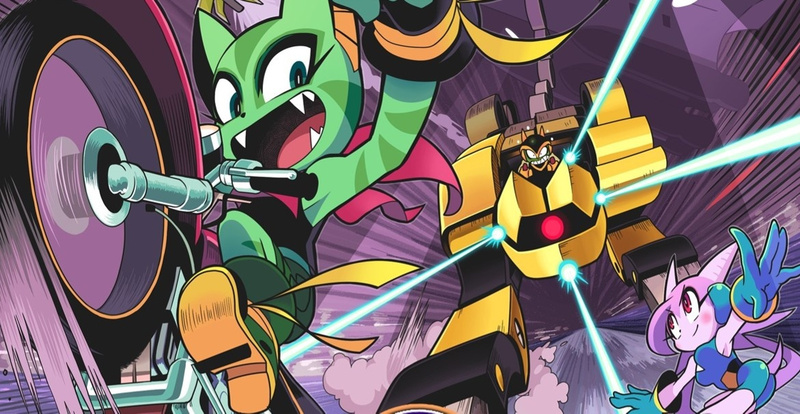 Would you be interested in adding a physical copy of Freedom Planet to your Switch library? Tell us down in the comments. Of course, it's a brilliant game! This ESRB rating was done by Lumines as well. But that never made it physical. So why should this be any different? Are we clutching at straws here? Finally, I've been waiting for this one. Nothing happened is what happened. It got an ESRB rating and everyone screamed "physical!". But that's not what it means, obviously. @Aneira Well, I'm an eternal optimist, so I'll not rule it out just yet. Hope Freedom Planet doesn't befall the same fate. Uhh.. the long forgotten art of optimism. I remember practising this in my younger days before the way of the world crushed my spirit. I'll stick with my digital copy, but it's nice to see it happen. The physical releases of indie games tend to be really darn expensive and this game functions better as a digital game for quick sessions in between other games. I own a digital copy and for those don't have the game yet or prefer psychical copy then it is a must have if you like Sonic Mania. Getting ESRB rated is a requirement for the US physical publication process even if you were previously rated for a digital release, so being re-rated is hopeful of a physical run. Apparently, a digital release going physical carries a huge ratings fee, so it's not something you'd do without a commitment to going physical. Sure, I'm just saying it's no guarantee. This game always looked really fun, but I never picked it up. Really considering it when the physical release drops. If so I'll get it. For good or bad it's collectable just for physical release. That's nice, would be picking it up for Switch if true. I just hope it's not a limited time release. Meh, I'll wait until the do the "remake the first game in the new engine" Galaxy Trail jokes about from time to time. Question had anyone ask the developers of this game they might do Japanese dub? Got it digitally on the Wii U, definitely will pick up a physical version for the Switch! @Aneira But then again, why would they put it up twice for a rating? It screams guaranteed physical to me. Already have it downloaded on Wii U... I would've rather played it physical, but I would've had no way to have know. Ah well. OK, THIS IS REALLY EPIC. I got it on Wii U but I was surprised that Nintendo Life didn't talk much about this game when it was released on Switch. I might really pick it up now.